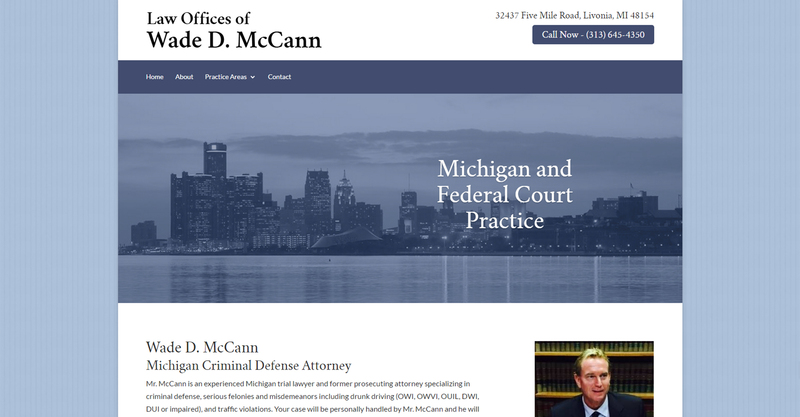 Wade McCann is a criminal defense attorney located in Livonia, MI. 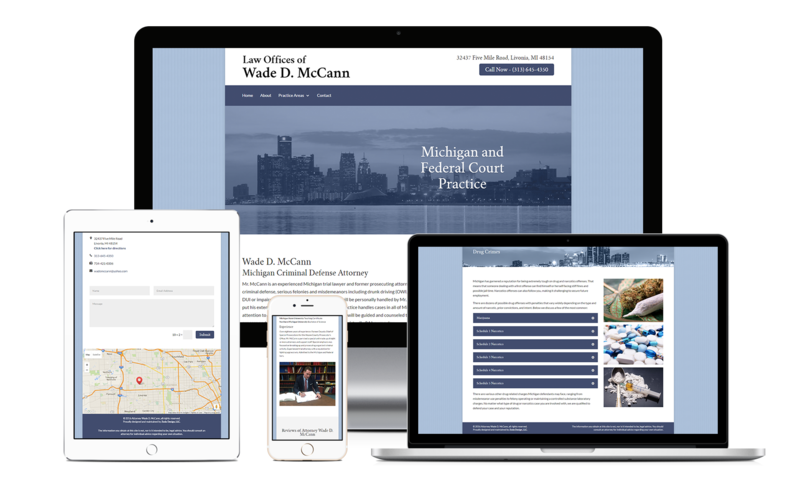 This website was built with the Divi theme from Elegant Themes and included a toggles on the practice area pages, a contact form, an embedded review widget, and stock photos. We also wrote the content for the practice area pages.